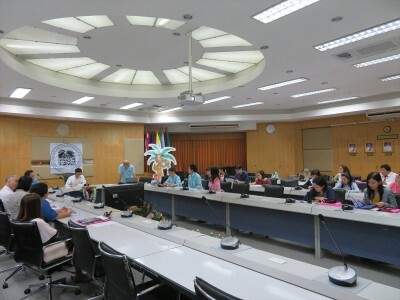 On June 22, the JSPS Bangkok Office organized JSPS guidance seminar at Burapha University Bangsaen Campus. 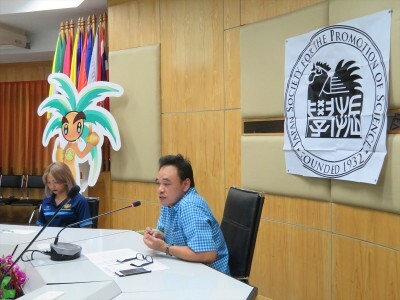 Burapha University is a national university which is originated from Bangsaen Educational College founded in 1955. Mr. Phonchai Chai-in (Director of Global Relations Center) and Dr. Nawasit Rakbamrung (Assistant President for International Relations) kindly delivered an opening address with a warm welcome. 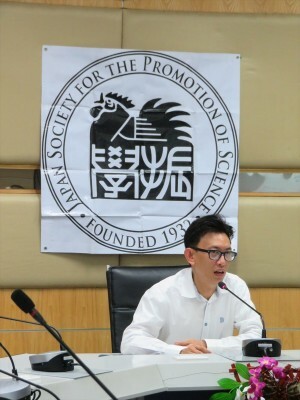 In our presentation, Director Prof. Yamashita introduced Japanese government’s policy on Science-Technology affairs and how JSPS works under such situation. 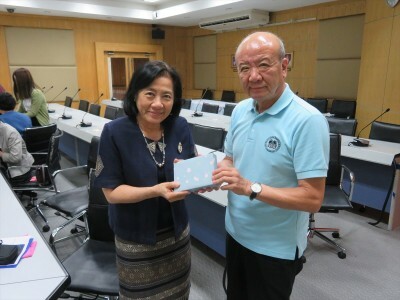 Deputy Director Mr. Tomiyama followed him by introducing the major function of JSPS and its Alumni association in Thailand. Lastly, Mr. Niihara and Ms. Minowa, International Associates explained JSPS International Programs such as Postdoctoral and Invitational Fellowships, RONPAKU program, Core-to-Core Program, and Bilateral Programs. After that we welcomed a special speaker, Dr. Khwanruan Srinui (Senior scientist, Institute of Marine Science, Burapha University). She was a former RONPAKU fellow and obtained Ph.D. degree from Hiroshima University. She presented her research experience through JSPS program, we believe that her presentation was very informative for the participants. We appreciate her kind cooperation for wonderful speech in this guidance seminar.